A classical solid oak bookcase from about 1900 has a wainscoting back, shaped columns and shelves that adjust on wooden supports. 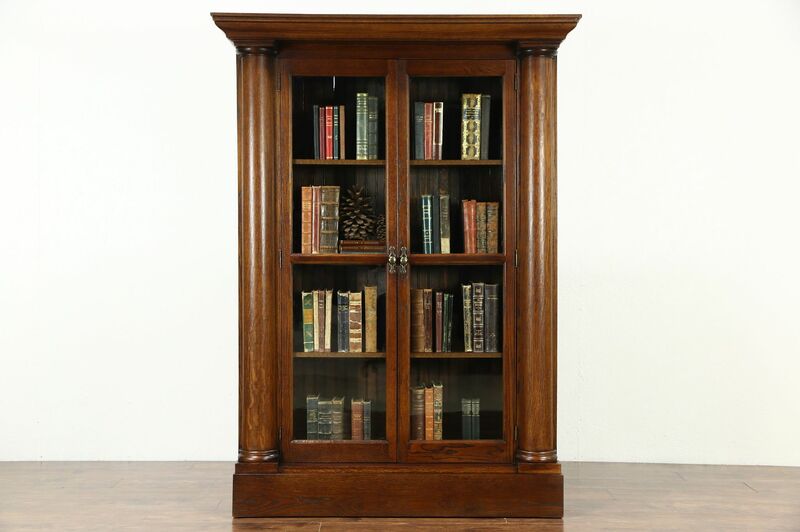 The renewed deep finish is in excellent condition on this American made antique library furniture. Doors have original wavy glass panes and later hardware. Measurements are 51" wide, 19" deep and 70 1/2" tall.